Hero ISL's #NewChampion is Bengaluru FC and March 17, 2019, will a night to remember for them after the disappointment of last year. 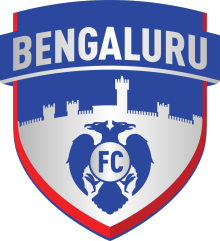 That's 3 stars on Bengaluru FC's logo now in just 5 years of existence. What a club, what a final performance! Hope you enjoyed our coverage of the ISL Final. This is Aravind Suchindran signing off. Visit the Sportskeeda page for our full coverage of the ISL. There's dejection for some and jubilation for others. The far corner of the stadium erupts in joy as 1 man from Mumbai, Rahul Bheke, scores the winning goal dedicated to the 900-odd travelling Bengaluru FC fans. That one goal was hard to get and it was a really difficult one to score. But it was worth it. And Bengaluru finally get their hands on the ISL crown they were desperately waiting for. Full time. Bengaluru are the ISL champions! 120+2' Bengaluru control the ball near the corner flag to waste precious seconds. Two minutes added. Can Goa do something here? 119' Goa protest a free-kick decision and Edu Bedia sees a card for dissent. Dimas floats the corner in and Rahul Bheke cuts across and glances it toward the left post to see it past Naveen Kumar. Naveen gets his fingers to it and tries to tip it over but the header has just beaten them all! 116' Bengaluru have scored a couple of goals in extra time before. CK Vineeth famously scored in the Federation Cup final against Mohun Bagan a couple of years ago. But can they find one tonight? Xisco dispossessed but the ball falls kindly to Miku, who takes a touch and volleys it for goal but Naveen collects. 113' Substitution - Bengaluru FC. Double change. 110' Substitution - FC Goa. 109' Fall to the rescue again. Bengaluru play a free-kick short and Dimas Delgado picks the run by Xisco with a lob. It's Mourtada Fall who cuts across and heads the ball away. 107' Harmanjot Khabra disagrees with the ref's decision after dragging Saviour Gama down. Bengaluru have to restart the move now. 106' The advantage is with Bengaluru FC now but Goa could just put all their men behind the ball for the last 15 minutes of the game. That's the first 15 minutes of extra time and the two teams have shown promise. But Goa went down to 10 men just at the end of the first period of extra time and with no Ahmed Jahouh, it could cost them dearly in the second period. 105+3' Miku also gets on the referee's book for losing his calm. 105+2' And that's a second yellow for Jahouh for that tackle. He's off the pitch. Goa down to 10 men now. 105+1' Tempers flare as Jahouh kicks Miku on the stomach after losing the ball. The referee has to first calm down the players before bringing out the card. Naveen Kumar makes a full-stretch dive to deny Bengaluru the lead, off a fierce left-footed long ranger by Xisco Hernandez. Still goalless at the Mumbai Football Arena. 103' Rahul Bheke drags Coro down to stop that run and the referee awards Goa a free-kick and the BFC defender a card. Bengaluru saved a comedy of errors. Luisma Villa thinks Gurpreet is behind him and heads the ball in the direction of the goal. But Gurpreet had moved out to deal with the cross and fortunately for Bengaluru, Gurpreet handles it well. 98' Mourtada Fall with a backbreaking nudge on Miku. The ref only warns him and decides not to card the Goan defender. Udanta's cross isn't diligently cleared by Seriton, but he's lucky that Sunil Chhetri could not pounce on it. Bengaluru continue the chance and Nishu Kumar, with ample amount of space in front of him, goes for goal. 95' Goa have kept the same tempo and have a foul in a dangerous position from the right, conceded by Dimas Delgado. It's played by Bedia and Gurpreet gets an easy catch. 92' Seriton with a harsh tackle on Dimas Delgado and Bengaluru were already complaining of a foul before that tackle. The referee deems this one bookable. 91' EXTRA TIME GETS UNDERWAY. Both teams have held their discussions during the break and have come with a plan. The ISL Final goes into extra time for the second time in 5 ISL finals. While Atletico de Kolkata (ATK) and Kerala Blasters played a drab ISL Final in 2016 in Kochi, this one was exciting. But neither side here has gone all out for the goal. Extra time will change that, hopefully. 90+3' Goa with the last chance during regulation time. Seriton plays a cross from the right but the ball is headed out by Dimas Delgado and the referee calls brings the second half to an end. And that's perhaps the most important one any player has made in the game. Udanta with a smart pass on the half-volley for Miku at the centre. The Bengaluru forward takes a chest to flip it backward but Fall is there to make the tackle. 90+2' Ahmed Jahouh with a rare mistake, failing to clear the ball from a Bengaluru free-kick. But Miku can't get to it on time and Naveen picks it up. It would be a sucker punch if Goa had conceded that way. Three minutes added. We'll have extra time if both the sides don't manage a goal. 90' Saviour saves Goa from a possible goal with an interception. But Udanta Singh goes down in process and... oh, wait. He's back up. No issue there. 88' Attendance for tonight's game is 7,372 and that's because a few of the complimentary pass holders have skipped the game. 86' Frustrating showing in the Bengaluru FC as Sunil Chhetri drags a foot from the back on Seriton's thigh and gets into a tussle. 84' Yet another lob from Jahouh for Goa and Jackichand is trapped offside. End to end stuff here. Xisco invites Fall to make a tackle and finds Miku with a through-ball, all inside the box. But the Bengaluru FC's forward left-footed poke bounces off the left post and denies Bengaluru the lead. Gurpreet Singh Sandhu fumbles with the catch and gives the ball away but he's fortunate that there are Bengaluru defenders around him, who play it to safety. 78' Rahul Bheke throws it in nicely to Luisma Villa from the right. but Mourtada Fall towers over him to make an important clearance. Luisma Villa with the nudge on Ferran Corominas, gifting Goa a free-kick from the centre of the park. Jahouh's take is frantically cleared by Rahul Bheke. 71' Saviour Gama lifts it over the Bengaluru defence and Corominas goes chasing after it. But Gurpreet Singh Sandhu stands at the edge of the box to pick it up. 70' Jackichand makes an important tackle on the left to stop Sunil Chhetri from hitting Goa on a potential counter. And there's activity on the Bengaluru bench. Barrera, who appeared to be struggling after that Edu Bedia tackle, comes off. And finally one that's on target. Jackichand beautifully cuts in, wreaking havoc on the right with his masterful dribbling. He lays it out at the edge of the box to Ahmed Jahouh, whose attempt doesn't really carry a punch. Brandon curls it to the centre, spotting the run by Coro but the Goan striker times his run poorly. 62' A poor challenge by Dimas Delgado to stop that smart move involving Edu Bedia and Brandon. Immediately after, Brandon chips it nicely to Bedia, who finds himself between the Bengaluru defenders. Bedia gets the momentum ready but fails to make contact with the ball. What a chance. If only he had timed it better. And Jackichand with the pace on the right for Goa, poaching the poor pass by Dimas Delgado. Bengaluru defenders make a beeline for it but Gurpreet saves the attempt from the right. Xisco with a deep cross to find Miku but the forward's volley skies over. Brilliant skill by Udanta Singh on the right, playing it from the right to his left and gushing past Saviour Gama. But his cross is poor and Fall gets it away. Now Barrera seems to be in pain and is limping on the pitch. The Bengaluru FC defensive midfielder wins the ball off Bedia but hurts himself in the process. 52' Bedia stands over the free-kick and finds Mourtada Fall on the right. But the defender's header is nowhere near the target. Both teams are yet to get a shot on goal. 51' There's a tussle between Goa's Edu Bedia and BFC midfielder Alejandro Barrera and the BFC man is carded for the offence. 47' The free-kick is chipped in for Miku from Dimas Delgado but Mourtada Fall spots the run and clears the danger. 46' Back underway at the Mumbai Football Arena and there's a card shown immediately for Jahouh for a foul on Xisco. Well, both teams have not held back but Goa are really threatening on the counter. Bengaluru, on the other hand, have patiently created chances from the open play but have not been able to play a decent shot to test Naveen Kumar yet. Goalless at half-time but the second half looks promising so stay tuned! 45+2' Dimas Delgado's handball gives FC Goa one last chance. Ahmed Jahouh floats it deep and Harmanjot Khabra heads it away. That will be the half time here. 45' Well, we were wrong. Mandar cannot continue anymore and his ISL final ends here due to the injury. Edu Bedia takes the captain's armband. 43' The left thigh is strapped up and Mandar is ready to come back on the pitch. Bedia with a backward flick for Mandar, who sprints through but has to stop his abruptly after pulling his hamstring. Goa really need their captain to be alright now. Mourtada Fall clips Miku from behind before the Venezuelan could flick it in the direction of Chhetri. That earns him a yellow, the first booking of the game. 37' And the jeers from the Goan fans start. Nishu Kumar with a poor header and the ball falls kindly to Goa's Corominas. But Coro gets himself hurt on Juanan's clean challenge and needs a few seconds. Harmanjot Khabra gets his hands on Ferran Corominas at the edge of the box and forcibly brings him down. But the linesman deems Coro to be in an offside position anyway and awards the free-kick to Bengaluru. 34' Xisco making the creative moves for Bengaluru. First Jahouh stops it with a hand-ball and then, Xisco moves up again from the set-piece. But he takes a touch too heavy just at the edge of the box and Naveen Kumar collects it. 31' Now, Nishu Kumar finds acres of space on the left but his cross is just poor. It doesn't go near any Bengaluru player and Goa get it away. 28' ALL ABOUT THE COUNTER. At the other end, Goa's counter through Jackichand is first blocked by Nishu. Ahmed Jahouh's long ranger is blocked as well but it falls nicely to Brandon, whose shot is just wide! 27' A sick turn by Udanta and a wicked rabona by Miku leaves Goa gasping for breath. Udanta takes a shot from the edge of the box, Miku hijacks it and skips past the goalkeeper Naveen Kumar to the touchline. But he tries to play it back to the centre and Goa get it away. A decent attempt given the pressure Miku was in. Sunil Chhetri with a cross from the left and Miku towers over Carlos Pena only to head it over the bar. 22' First corner for Bengaluru as Naveen Kumar punches the ball in flight out. Xisco plays it short to Dimas, whose cross is beyond the crowd of Bengaluru players. 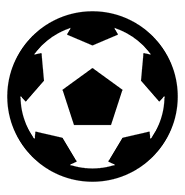 Xisco joins up in a counter-attacking move for Bengaluru and passes it to his Sunil Chhetri to his left. The Bengaluru forward takes a touch with the outside of his right boot, looks for the corner and shoots poorly. 14' Err, that could have been his first shot on target but Corominas miscues the volley. Jackichand does well to chase after Mandar's ball across the pitch and pump it in for Coro at the far post. But Coro's left-footed effort falls flat. 13' Coro steals the ball from Barrera but the move breaks down because of a poor pass from the Spaniard under pressure from the Bengaluru defence. The move fizzles out as Lenny Rodrigues' cross from the right, following Seriton's throw-in fails to curl inward. 10' It's been a cagey ten minutes with one side not allowing the other a foothold. But Goa have a free-kick and what can they do here? 6' Bengaluru get going from the throw-in again and this is a great move. Nishu Kumar to Sunil Chhetri to Miku. The Venezuelan dribbles past two Goan defenders, makes Mourtada fall for his trickery before Naveen Kumar charges out and blocks the shot. 4' Nishu Kumar lets a lob from the Goan defence go past him to Jackichand Singh. But the Bengaluru full-back rushes back to stop the cross from reaching its intended target - Corominas. Brandon takes the corner and Edu Bedia cuts across. But his glance is off the target. Miku sets Sunil Chhetri up with a chest-down but the Bengaluru FC skipper drags the shot off target. Goa win possession early on and Juanan and Edu Bedia clash during an aerial duel down on the right. A little bit of match information before the big kick-off. Referee for Bengaluru vs Goa ISL Final - Taqi Muhammad Aljaafari from Singapore. Ronnie Koh Min Kiat and Arun Sasidharan Pillai are his assistants. CR Srikrishna is the fourth official. The players are walking onto the pitch and the atmosphere couldn't be more electric, well, for a stadium of 8,000 capacity. National anthem before the ISL Final. Goa and Bengaluru are the highest goalscorers in the league. Since the beginning of the 2017-18 season, Goa have scored 84, while BFC have raked up 73 goals. There won't be any shortage of goals in the Bengaluru v Goa ISL Final tonight. Goa have reached semifinals 4 out of 5 ISL seasons and they are in their second ISL final in 5 season. Bengaluru have managed to reach the final in both seasons of their existence in the ISL. This Bengaluru v Goa ISL final will be a battle between two of the most consistent teams in the ISL. 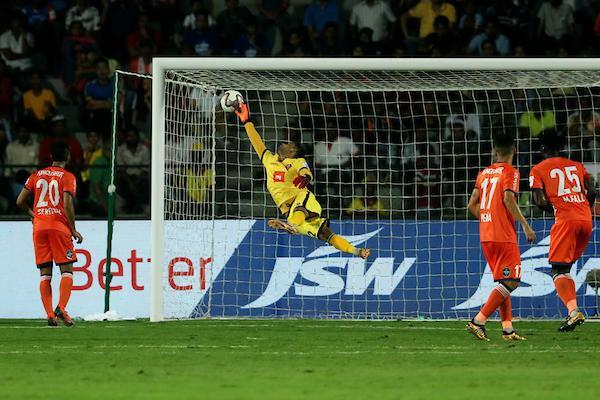 Six out of the 13 goals in the ISL finals have come from set-pieces. Bengaluru, who are generally good in tackling set-pieces, conceded 2 in the ISL final against Chennaiyin FC. They will be wary of the threat posed by Goa in the ISL Final. Bengaluru FC have added an extra foreigner in the midfield for the big ISL Final clash against FC Goa at the Mumbai Football Arena. Albert Serran drops to the bench for Xisco Hernandez. Goa have Edu Bedia back in the Starting line-up with Hugo Boumous starting from the bench. Hello and welcome to Sportskeeda's Live Commentary of the game Bengaluru v Goa ISL Final at Mumbai Football Arena. The atmosphere here is building and we can expect a full house here. This is Aravind Suchindran and let me bring you the line-ups for this crucial game. Mumbai is home away from home for Goa. They have played 2 matches here and have scored 7 goals in the venue. Bengaluru lost the only game they played at the Mumbai Football Arena this season. Of course, both Goa and Bengaluru have lost once in the ISL Final but BFC have played other finals before. They played 2 Federation Cup finals (2014-15 and 2016-17) and won both. They also won the inaugural Super Cup by beating East Bengal last year. However, they did lose the AFC Cup final in 2016 to Iraq's Air Force Club (AL-Quwa Al-Jawiya). Perhaps, this experience of playing in crunch games will come in handy for Bengaluru against Goa. Ferran Corominas is the most lethal player for Goa. Apart frmo scoring the most number of goals for Goa (and in the ISL) with 16 strikes, Coro also has seven assists, the most for Goa. However, he does not have a good record against Bengaluru and this ISL final will be a chance for him to prove his detractors wrong. Goa have 9 of their matches in which they have scored first and never lost any of them. Bengaluru have a good record too after scoring first, having won 10, drawn 2 and lost just 1 - against Jamshedpur. In the four editions of the ISL, ATK and Chennaiyin FC have shared the ISL trophies. This time, we'll have a new ISL champion. Bengaluru and Goa are in their second ISL Final. Goa were in the final back in 2015 when they lost 2-3 to Chennaiyin FC. Similarly, Bengaluru lost the 2017-18 ISL Final 2-3 to.......Chennaiyin FC. It all comes down to this for Bengaluru FC and FC Goa as both teams eye their maiden Indian Super League (ISL) title in the ISL Final at the Mumbai Football Arena on Sunday at 7.30 pm IST. Bengaluru and Goa are the two most consistent teams from the league stage of the ISL. And it's only fair that they compete for the grand ISL trophy in Mumbai, having finished first and second with 34 points. Bengaluru, of course, were the table-toppers because of their better head-to-head record against Goa but Sergio Lobera's side had the better goal difference. Barring for the learnings from the league stage matches, the record doesn't matter at this point of time. BFC go into the final as the favourites but they had a rather tough semifinal against NorthEast United. 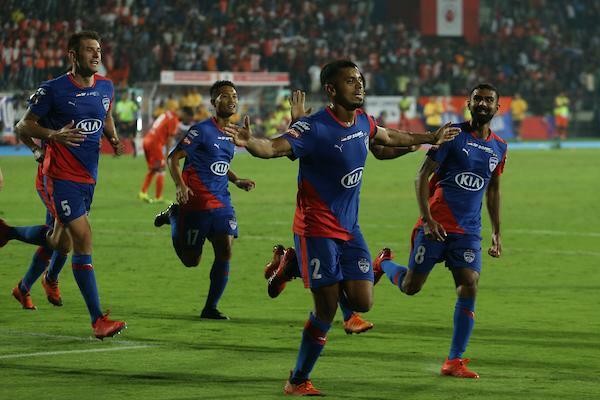 Having lost the away leg 2-1 in Guwahati, Bengaluru had to produce an inspiring second-half performance in front of the Sree Kanteerava Stadium to progress 4-2 on aggregate. In comparison, Goa had a rather straightforward ISL semifinal against Mumbai City. The Gaurs stunned the Mumbai Football Arena crowd to thrash Jorge Costa's side 5-1 in the first leg, before progressing 5-2 on aggregate. Bengaluru and Goa have similar formations, considering they both have Spaniards helming their sides in Carles Cuadrat and Sergio Lobera. Both the gaffers have coached the Barcelona youth teams at some point in their careers and are good friends off the pitch. All that will be cast aside in the ISL final later this evening. Moreover, the top-scorer of the ISL with 16 goals, Ferran Corominas, has not registered a shot on target this season against Bengaluru FC. The Blues, on the other hand, have Miku and Sunil Chhetri delivering the goods for them whenever required. Chhetri is the leading Indian goalscorer with 9 goals, while Miku, despite missing most of the season due to an injury, has 5. Both teams do not have any suspensions or injuries. This final promises to be a winner-takes-all contest and both the teams will not back down. When and where to watch: The BFC vs FCG ISL Final will be telecast on Star Sports Network and Colours Kannada. The Live Streaming is on Hotstar and Jio TV from 7.30 pm IST.